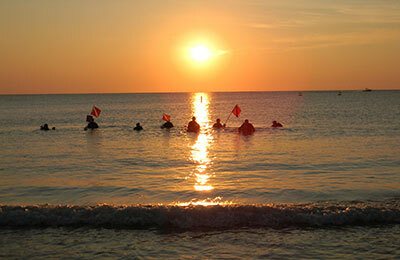 The Town of Lauderdale-By-The-Sea (LBTS) is the most popular spot for beach diving in Florida! Snorkelers are always surprised at the abundance of sea life they see on the reef that is located just 100 yards off the beach throughout most of the length of the Town. The Town has a great annual event where we celebrate Florida’s Lobster Mini-Season – BugFest-By-The-Sea.  It’s with good reason that our seaside village of 6,000 residents is known as Florida’s Beach Diving Capital. With even prettier reefs located a 10 minute swim further out, divers wading into the water with their tanks and red-and-white-striped Diver Down flags are a part of everyday life here. Because the reefs are in shallow water, beach divers enjoy extended bottom time — and are happy to keep the $55 charter boat fee in their waterproof wallets. The Town has an annual underwater photo contest sponsored by By The Sea Realty and Reef Photo! 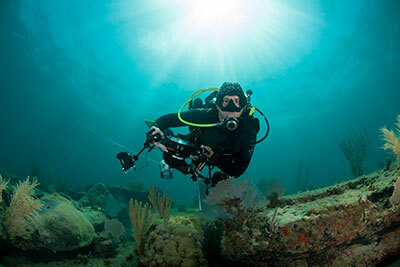 Gold Coast Scuba and Deep Blue Divers offer equipment rentals and dive certification classes. Located just north of Fort Lauderdale, LBTS oozes with Old Florida charm and celebrates its amazing sea life. Visitors entering the Town on Commercial Boulevard are welcomed by an 18-foot tall sculpture of a coral reef. With reef-themed artwork dotting our downtown district, casual restaurants with lots of live music, and hotels right on the beach, divers will feel right at home when staying here. To celebrate Florida’s lobster mini-season, Lauderdale-By-The-Sea annually sponsors BugFest-By-The-Sea in July, when scuba divers can wins thousands in cash and prizes. Featuring the Great Florida Bug Hunt Contest, a mini-season kickoff party, lobster chef competition and reef clean-up, there’s plenty of opportunities for divers to get wet! BugFest will be featured in April 2015 on ScubaNation TV, a program that airs on Fox Sun Sports. FREEDIVING from Sarosh Jacob on Vimeo. The Town is home to SS Copenhagen, a 19th Century British steamship that wrecked in May 1900 less than a mile offshore in 25 feet of water. Florida designated the wreck as an Underwater Archaeological Preserve in 1994. With an estimated 10,000 annual visitors, Copenhagen is the most popular underwater preserve in Florida. The site was placed on the National Register of Historic Places in 2001. Underwater wreck maps are available at our two dive shops, Town Hall and at the Chamber of Commerce. South of Anglin’s Pier, there are two unique spots beach divers can explore: Shipwreck Snorkel Trail: Dedicated in 2002 by explorer Jean-Michele Cousteau, the site was built by the Marine Archaeological Council to promote Broward County’s rich maritime heritage. The trail has an anchor, five concrete cannons and a ballast pile. In one of the most walkable towns in the US.